We have had so many requests to experience what the climb is like over the years we decided to give potential climbers the opportunity to get a taste of what it takes to conquer all 1,455 steps inside Stratosphere Tower. For the first time in Scale the Strat’s six-year history, climbers will get the opportunity to experience the altitude inside Stratosphere Tower during a special sneak “peak” practice climb months before the March 2, 2014 extreme stair climb event. 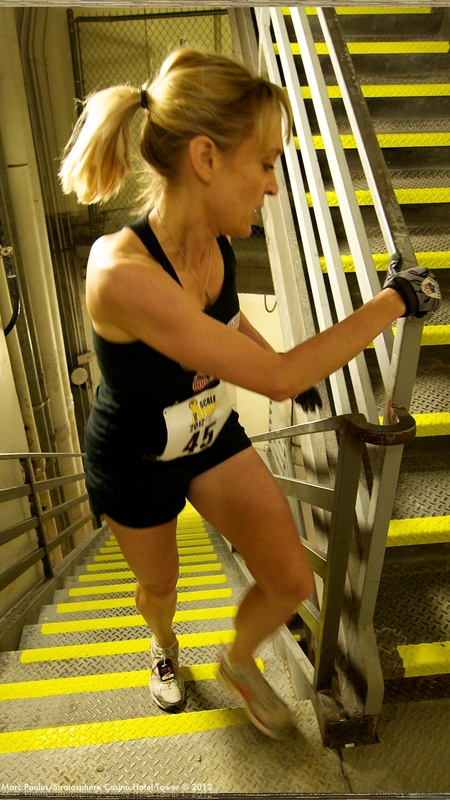 The first ever Scale the Strat Sneak “Peak” Practice Climb will be on Saturday, January 18, 2014 starting at 7 a.m. inside the stairwells of the iconic Stratosphere Tower, at Stratosphere Casino, Hotel & Tower. Practice climbers will be assigned to small groups and allowed to climb the 234 stairs between Level 101 and Level 112 as many times as possible in 30-minute intervals. Level 112 of Stratosphere Tower is above the Observation Deck and four floors above the official Scale the Strat finish line. As climbers reach Level 112, they will be outdoors and experience one of the best views in Las Vegas. 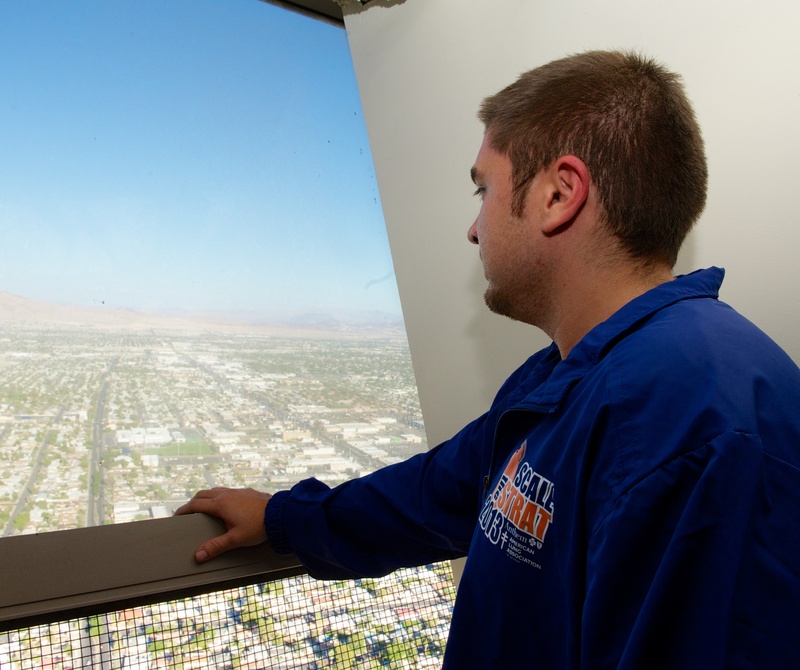 “This is truly a special experience as we only open up the stairwell inside our Tower to the public on rare occasions and we have never allowed access to this outdoor area of Level 112,” said Kimberly Huff, Operations Manager at Stratosphere Casino, Hotel & Tower. The practice climb is limited to the first 200 climbers who register on http://www.ScaletheStrat.com. The cost is $40. Interested climbers can reserve on line or sign up on practice climb day at the Stratosphere Tower (based on availability). All proceeds support American Lung Association in Nevada (ALAN). “We have had so many requests to experience what the climb is like over the years that we decided to give potential climbers and veteran Scale the Strat climbers the opportunity to test their endurance and get a taste of what it takes to conquer all 1,455 steps inside Stratosphere Tower,” said Allison Newlon-Moser, Executive Director of the American Lung Association in Nevada. Those who participate in the January 18 Scale the Strat Sneak “Peak” Practice Climb will be able to sign up for Scale the Strat 2014 at a discounted “super saver” rate of $40 – a savings of up to $35. All climbers are asked to fundraise an additional $150 for the American Lung Association in Nevada (ALAN). In 2013, a record 560 people signed up to participate in Scale the Strat and climbed all 108 floors and 1,455 steps inside The Stratosphere Tower, the highest building west of the Mississippi River. The event raised an unprecedented $175,000 for the American Lung Association in Nevada’s mission of preventing lung diseases and promoting lung health. 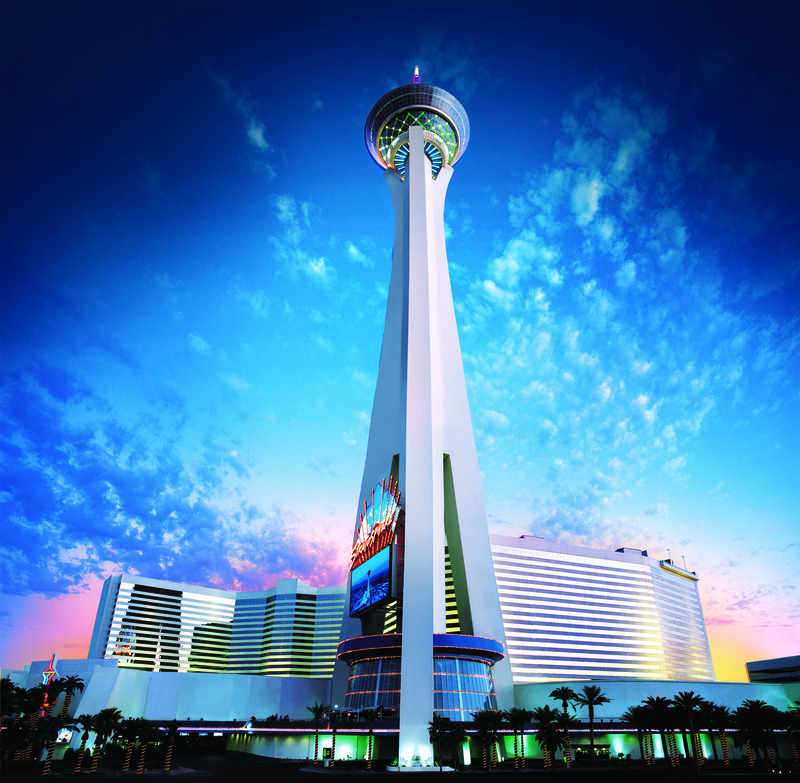 Stratosphere Casino, Hotel & Tower is offering a special room rate for those traveling to participate in the Scale the Strat Sneak “Peak” practice climb or who want to make a “stay-cation” out of the weekend. Practice climbers can receive a room rate of $65 for Friday, January 17 and Saturday, January 18, 2014. To take advantage of this special rate, call 800-998-6937 and use the code C-ALAPC. Please note this promotional code cannot be used on a third party site. Additional information about the Scale the Strat Sneak “Peak” Practice Climb and Scale the Strat 2014 can be found at http://www.ScaletheStrat.com. ALAN has been improving the lives of Nevadans since 1916 when it was founded as the Nevada Tuberculosis Association to combat the devastating disease of tuberculosis (TB). Since that time, ALAN has remained constant in the fight against lung diseases and the promotion of lung health. Lung disease is the fourth leading cause of death in America and ALAN is often the first point of contact for individuals with lung disease. ALAN provides practical help and education to people living with asthma, emphysema, and other lung diseases, confronting this disease at the root level by educating kids about the dangers of smoking, providing smoking cessation programs, advocating for smoke-free environments, and working to reduce air pollution. Stratosphere Casino, Hotel & Tower is a Las Vegas Strip resort with an 80,000-square-foot casino. The 1,149-foot Stratosphere Tower is the tallest freestanding observation tower in the United States, featuring the Top of the World restaurant and highest view of the Las Vegas Strip from the Observation Deck as well as SkyJump Las Vegas and thrill rides Big Shot, X-Scream and Insanity. Known as a great value to gamblers, Stratosphere is located close to the Convention Center at the gateway to downtown Las Vegas. It features 2,427 guest rooms and suites, uniquely themed restaurants, the Tower shops and Frankie Moreno Live at Stratosphere, the original production show PIN UP™ and David Perrico – Pop Evolution. Additionally, Stratosphere’s ace | PLAY™ program allows players to enjoy awards, comps and exclusives based on their loyalty to American Casino & Entertainment’s four properties: Stratosphere Casino, Hotel & Tower on the Las Vegas Strip, Aquarius Casino Resort in Laughlin, Nevada, and two Arizona Charlie’s locations in Las Vegas. For more information, visit StratosphereHotel.com, call 702-380-7777 or 800-99-TOWER (998-6937). Serving Nevada since 1969, Anthem is the state’s second-biggest health benefits provider and the only one licensed to sell insurance in every county. As Nevadans, we live and work in the same communities we serve and have made it our business to help provide health security through a broad portfolio of health care plans and insurance products. Anthem has been a proud sponsor of the Scale the Strat since the event began. Our parent company recently partnered with the American Lung Association nationwide with a $1.5 million grant to support smokers in their efforts to quit for good through the ALA’s “Quitter in You” smoking cessation program that will roll out in Nevada and 14 other markets this year. In 2012, Anthem and its charitable foundation and local associates contributed more than $1.26 million and hundreds of volunteer hours to vital organizations and causes across the state. Major areas of focus for Anthem in 2012 included promoting active lifestyles and working to reduce the devastating impact of chronic illnesses, such as diabetes, heart disease and lung disease on Nevada children, adults and seniors.